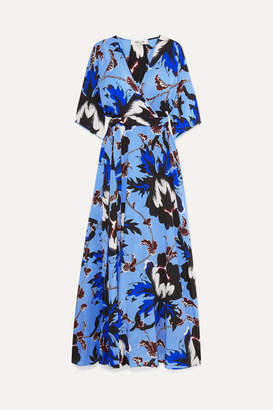 Diane von Furstenberg's silk-blend crepe de chine 'Sareth' design gives the illusion of one of the label's famous wrap dresses, but it actually just slips on and ties at the front. It's one of those throw-on-and-go pieces that requires minimum effort yet always makes you feel good and looks appropriate in so many different settings. 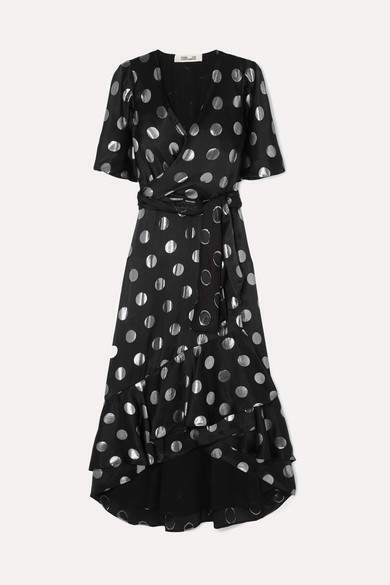 Match some sandals, a clutch or even eye shadow to the shimmering silver fil coupé dots.